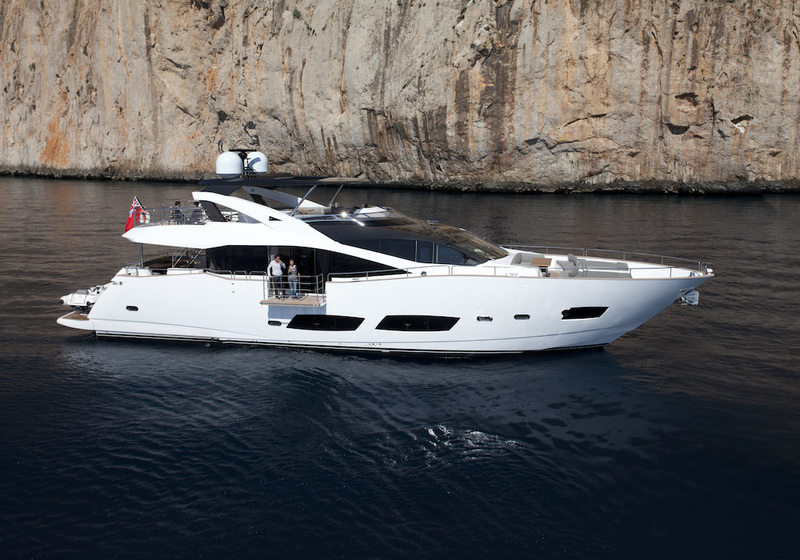 The 2014 Motor Yacht HIGH ENERGY is a SUNSEEKER 28 vessel constructed by the renowned British builder Sunseeker Yachts, featuring a GRP hull construction. 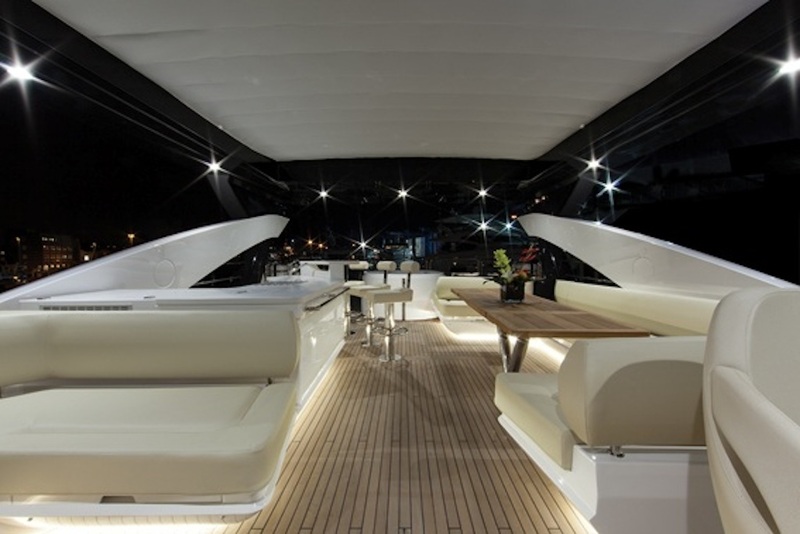 Charter yacht HIGH ENERGY measures 28,12 metres (92’3’’) in LOA and has a beam if 6,54 metres (21’5’’). 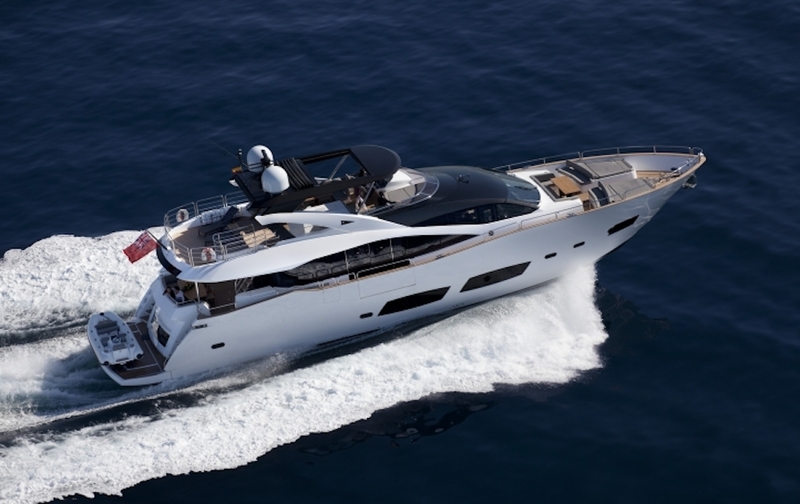 HIGH ENERGY is available for French Riviera yacht charter as well as other popular charter destinations in the Western Mediterranean. 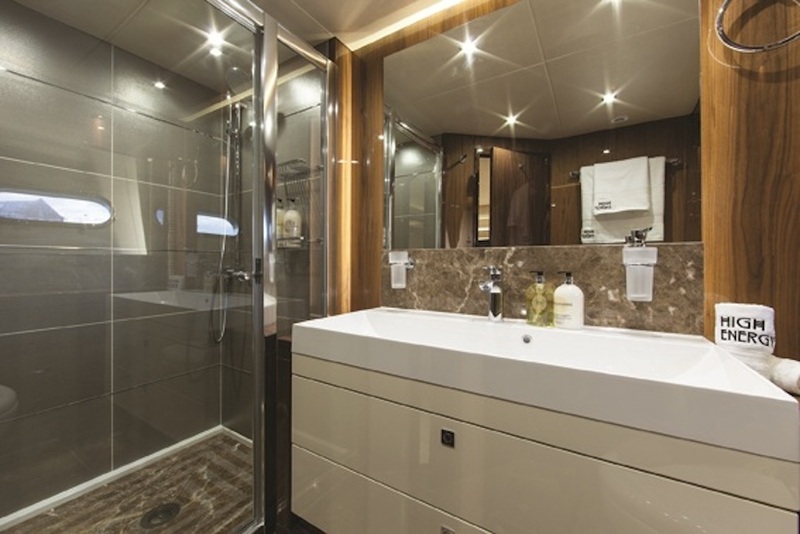 Main features to enhance guests’ comfort on board luxury yacht HIGH ENERGY include air-conditioning, deck Spa Pool, stabilisers at anchor and underway, as well as WiFi connection. 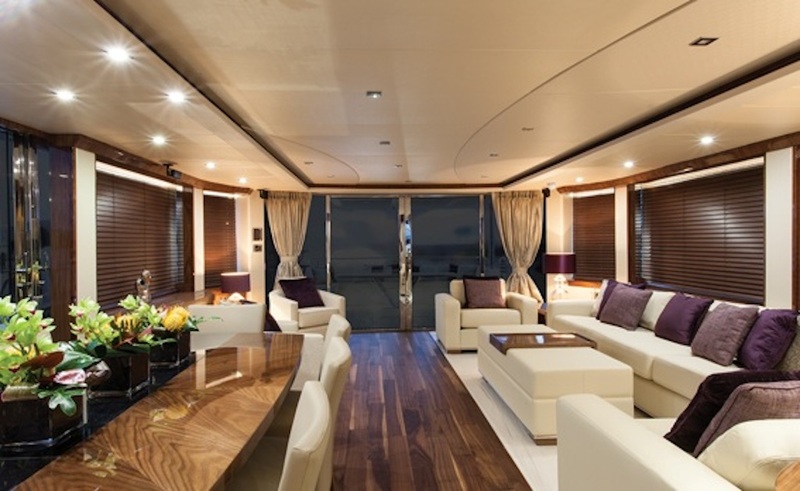 A drop-down starboard bulwark balcony accessible from the saloon via full length sliding doors. 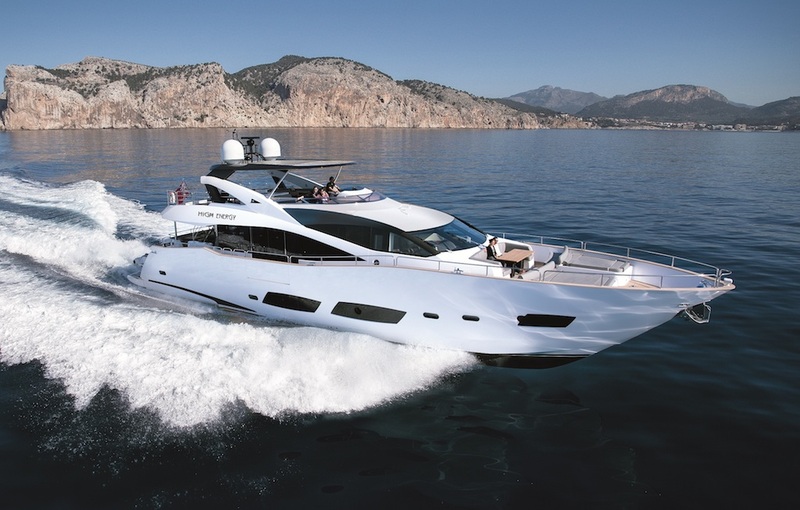 The striking Sunseeker 28 yacht High Energy will provide great thrill for charter guests lucky enough to spend their holiday onboard this daring and dramatic vessel. 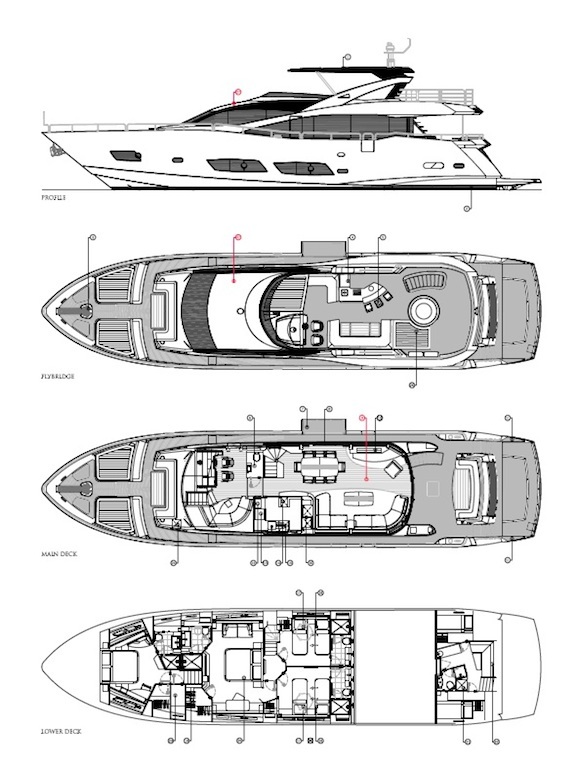 She is spacious and elegant, with practical features and layout. 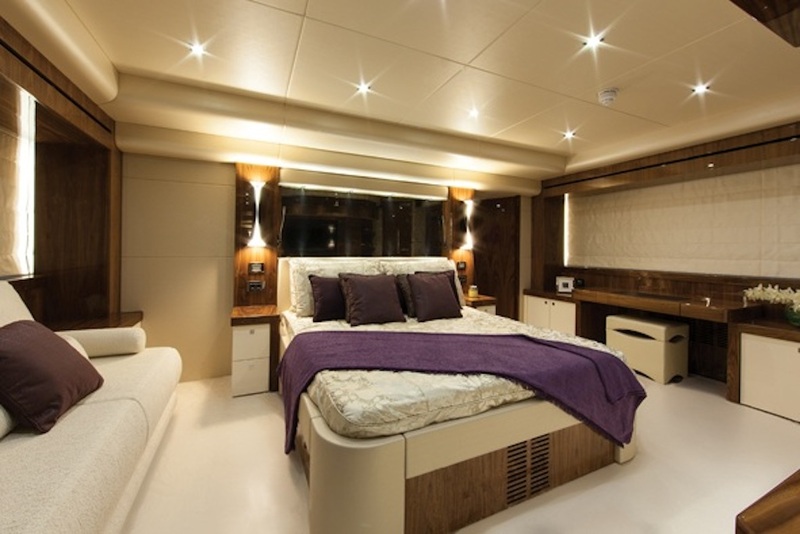 Her interior has been finished to highest standards with exceptional attention to detail. 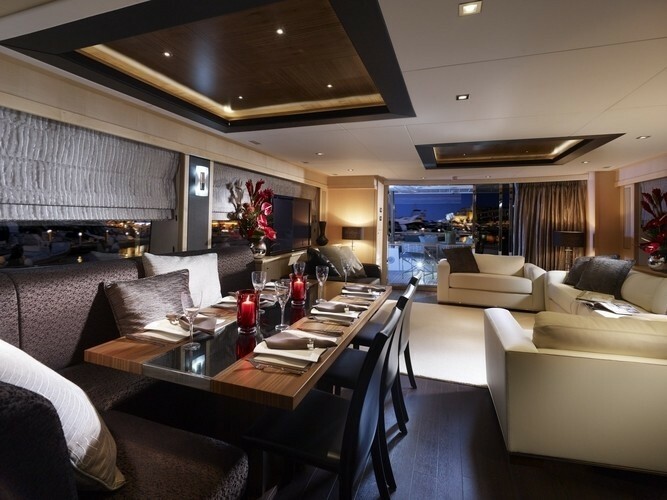 Wraparound glazing and hull-height windows provide unparalleled panoramic views through the drop-down saloon balcony and the dining area boasts exceptional use of space as well as modern surroundings. 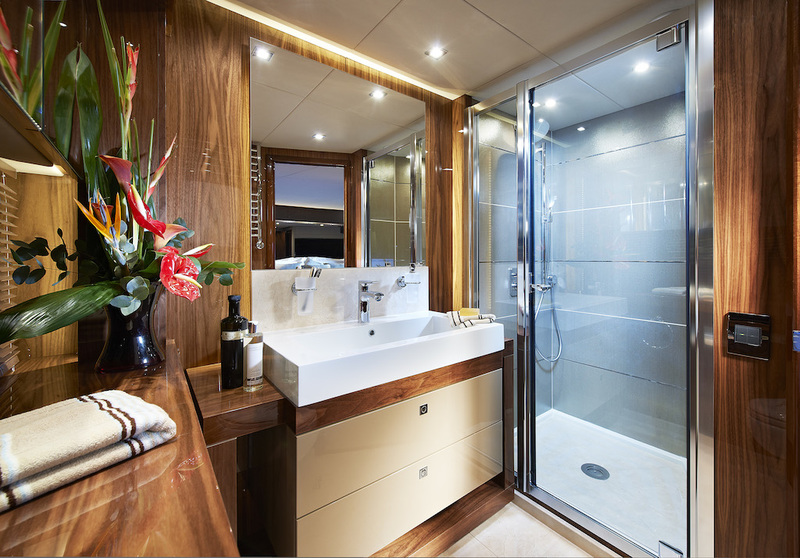 Accommodation for eight charter guests on board HIGH ENERGY superyacht is offered in four alluring cabins, including one master stateroom midship, one VIP cabin forward and two twin/double guest cabins. 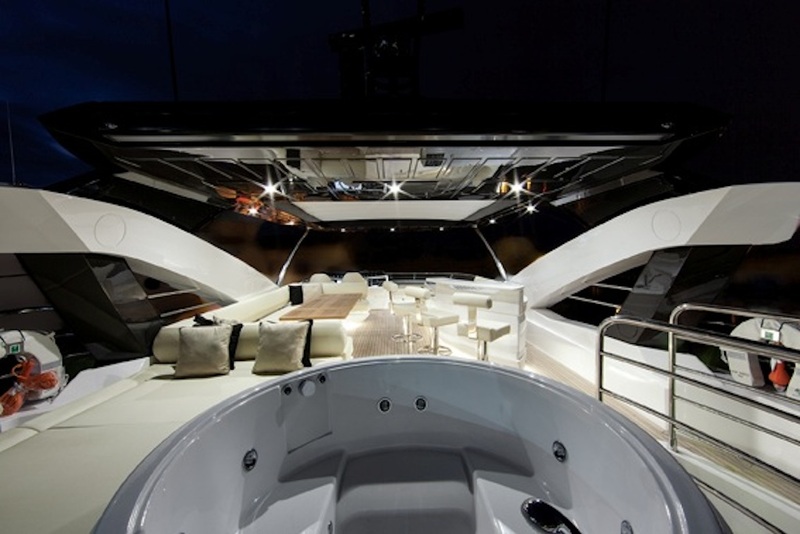 Exterior spaces aft include al fresco dining for 8 guests, a fridge and ice maker as well as the hydraulic swim platform for added entertainment. 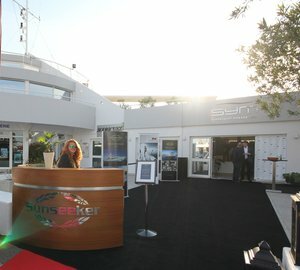 Forward guests can relax on two large sunbathing pads or enjoy a drink at the large seating area with a table. 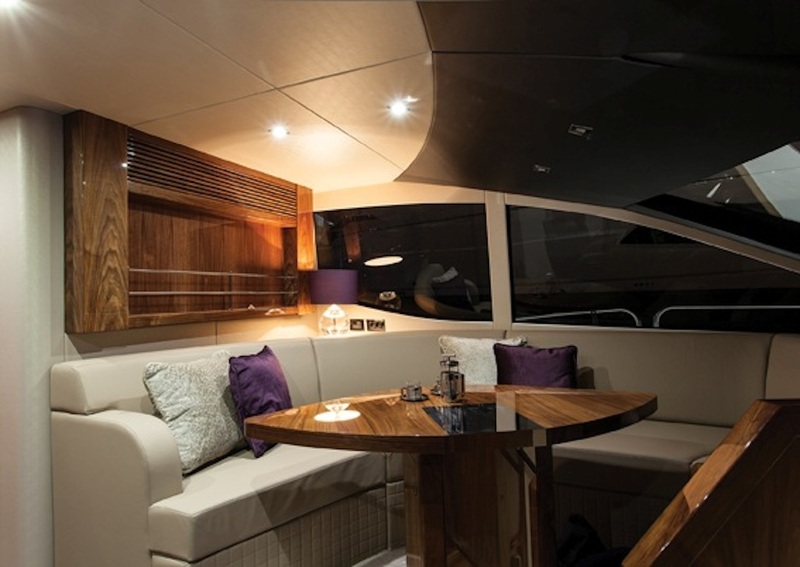 The Flybridge offers a large bar, a fridge and an ice maker, a Kenyon BBQ grill as well as a possibility for dining for 8 guests. 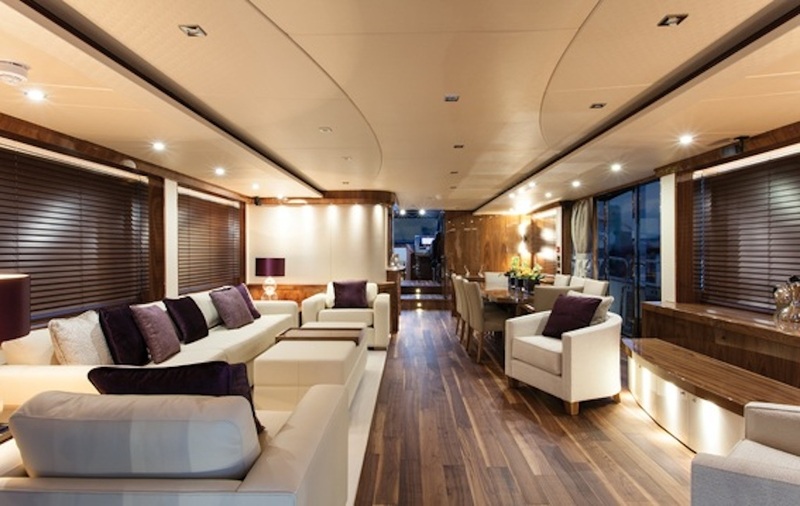 There is also a large sunbathing pad forward. 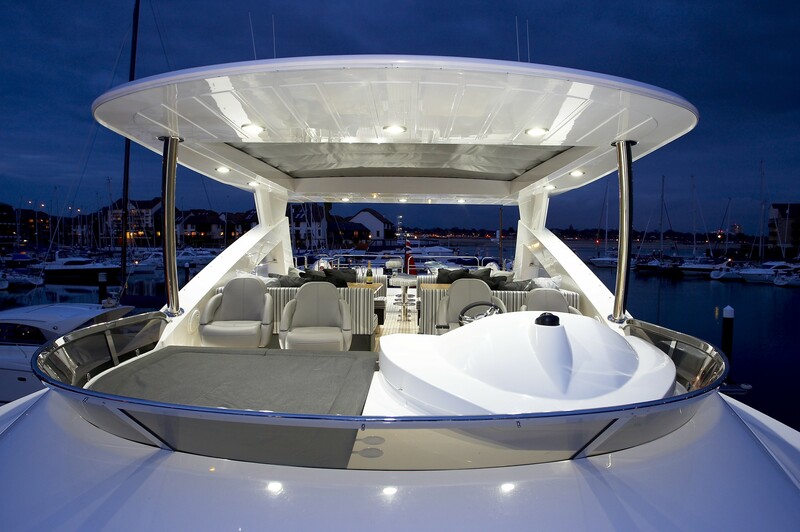 The area is covered with a hard top with a retractable inner canopy and aft sun awning. 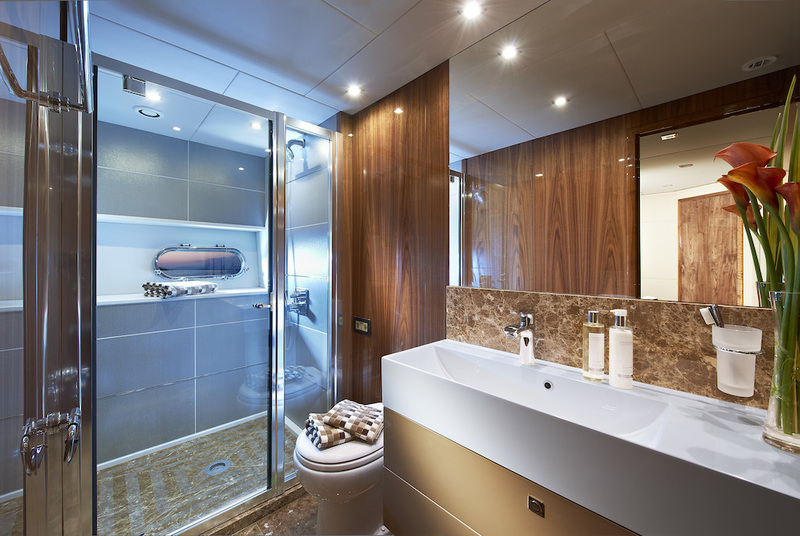 To fully unwind and enjoy your stay on board, there is also a relaxing Spa Pool with a sunbathing pad. 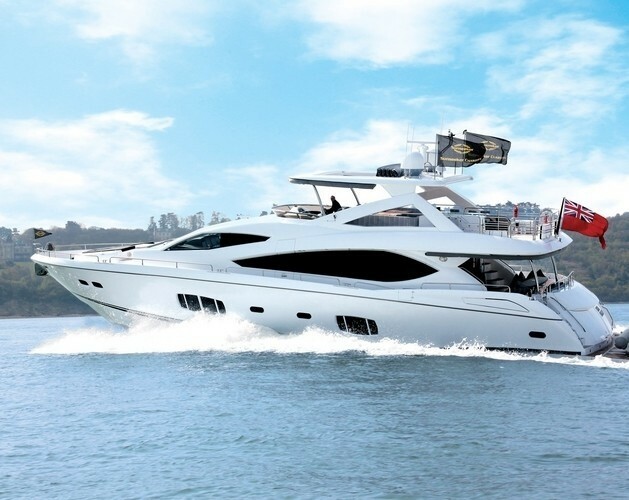 There are four professional and experienced crew members on board HIGH ENERGY yacht offering outstanding service during any charter vacation; making sure that guests’ expectations are not only met but also exceeded. 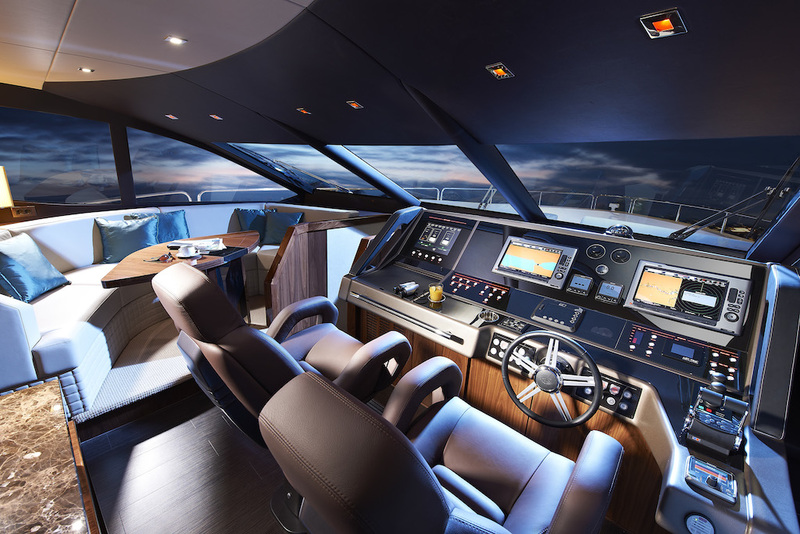 The yacht has been fitted with twin MTU 12V 2000 M94 engines (2x1950ps) and two Kohler generators, allowing her to cruise at 20 knots. 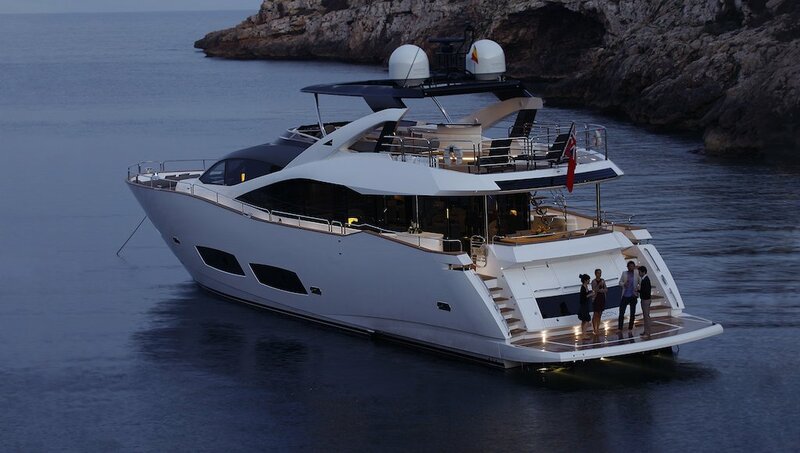 Her fuel consumption is of 550 Litres / Hr. 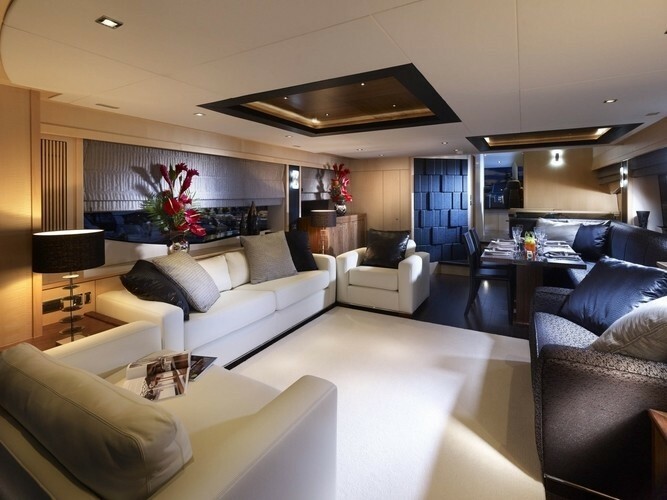 Accommodation for eight charter guests on board HIGH ENERGY superyacht is offered in four alluring cabins, including one master stateroom midship, one VIP cabin forward and two twin/double guest cabins. 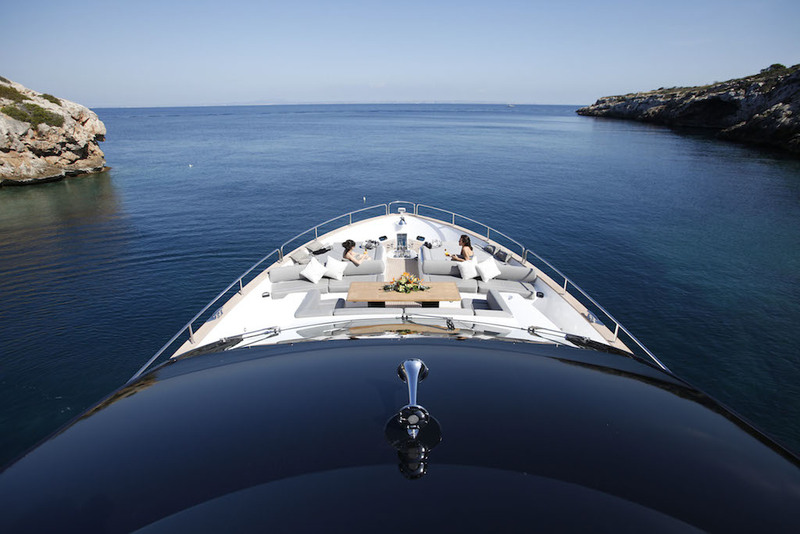 There are four professional and experienced crew members on board HIGH ENERGY yacht offering outstanding service during any charter vacation; making sure that guests’ expectations are not only met but also exceeded. 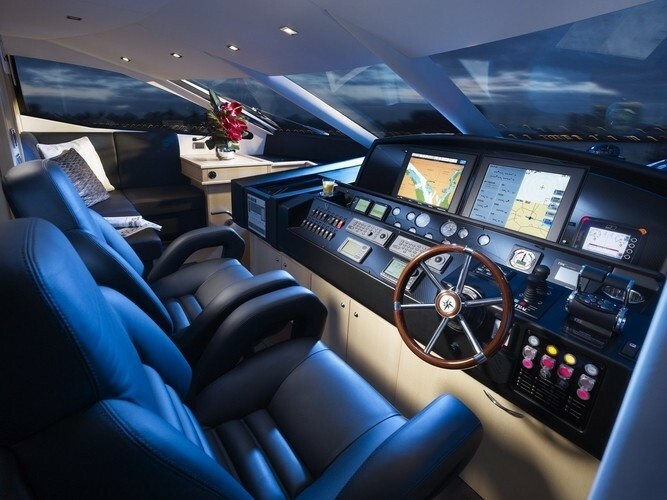 Water Toys include a Zodiac 470 DL with 90HP Evinrude tender, E-Tec, Waterskis, Monoskis, Inflatables, Snorkelling gear.